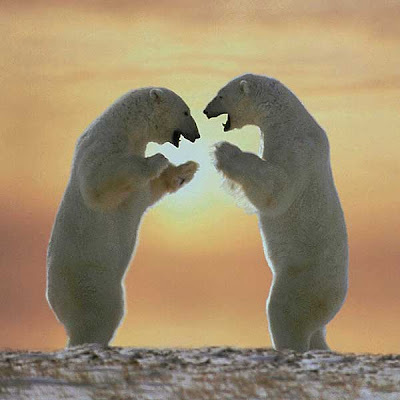 Polar bears are the world's largest four-legged meat-eating animals-9 feet tall and 1600 pounds! These are classified as 'Vulnerable Species'. 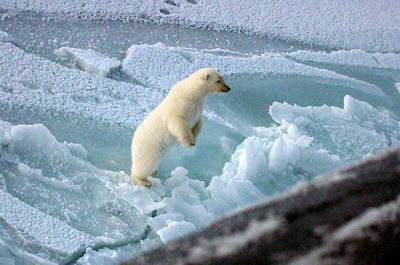 They have special features to help them live in the arctic. Their thick fur and a layer of fat keep them warm. Their small ears lose less body heat. Pads on the bottom of their feet keep them from slipping on ice. 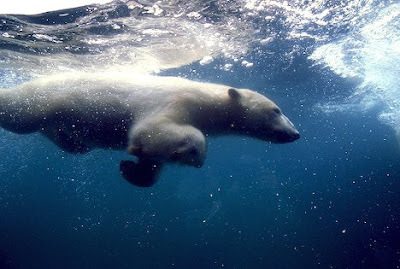 Polar bears are excellent swimmers. Webbing between their clawed toes helps them swim. 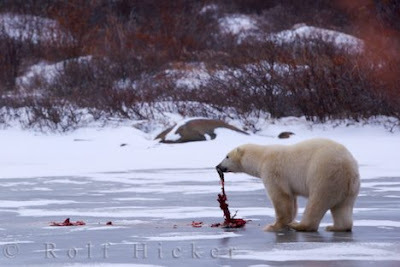 Polar bears hunt seals, walruses, small whales and fish. In the summer months, they eat berries and plants. 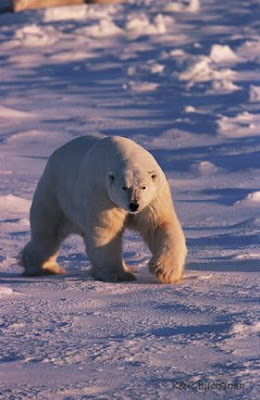 Female polar bears make dens in ice caves or in snow banks. They give birth to one to three cubs, weighing 1 pound. 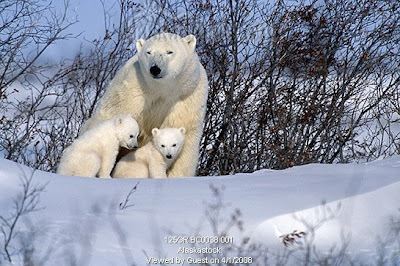 The cubs stay with their mother for 2 years.